March is one of my favorite months because it’s a very celebratory month: Charlie’s birthday, my birthday, my sister-in-law’s birthday, lent, the end of the the third quarter at school, the first day of spring…lots of great stuff. The other great thing about March is that it is Reading Month. I will admit that Eddie and I eat up every reading program we can get our hands on. In the summer we visit our local library and pick up a reading challenge–along with ten books each visit. This March, I am going to be doing book clubs with my seniors to help encourage reading. Since the new titles have started showing up in my classroom, they have already started showing their excitement. I have to admit I am excited too! The titles I have chosen (with the help of our media center specialist) are: The Fault in Our Stars, The Perks of Being a Wallflower, The Curious Incident of the Dog in the Night Time, Mudbound, The Absolutely True Diary of a Part-Time Indian, and It’s Kind of a Funny Story. 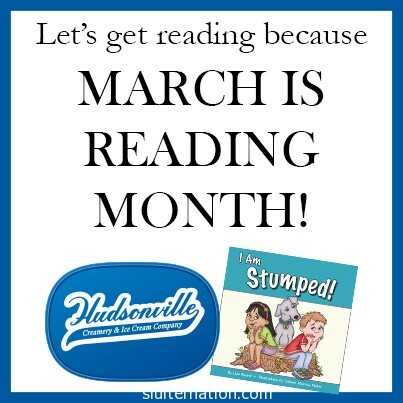 I figure Eddie’s preschool will do something for Reading Month, but I also want to reinforce it at home, so I was super excited to find that Hudsonville Ice Cream is launching a reading program next month. This past summer Hudsonville Ice Cream generously donated ice cream and other provisions for our neighborhood to have an ice cream social. They have been a long-time favorite of mine–and pretty much anyone local. Their reading program rules and calendar can be found here. 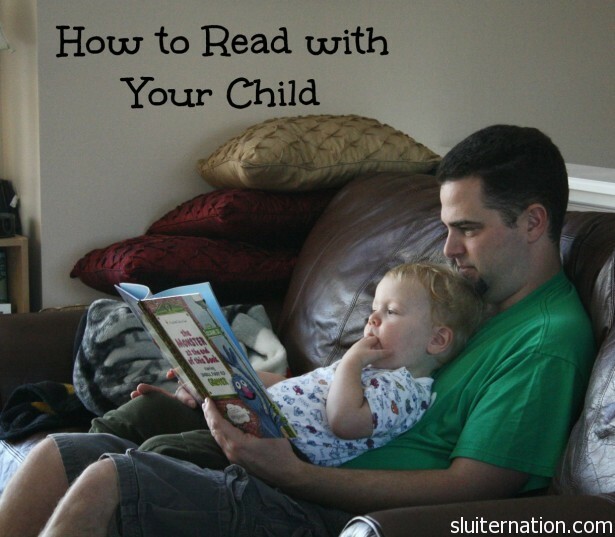 The rules are pretty simple: read every day! 2 winners: Hudsonville Ice Cream for a YEAR! Anyone can enter, but prizes can only be redeemed in Michigan, Ohio, Indiana, and Illinois (where Hudsonville Ice Cream is carried), but that shouldn’t stop you from entering because READING! And ICE CREAM! Each week I will share what the Sluiters have been reading too…so join us! READ! Disclaimer: I was not compensated in any way for this post. I just love reading, promoting reading, and ice cream…specifically Hudsonville Ice Cream.